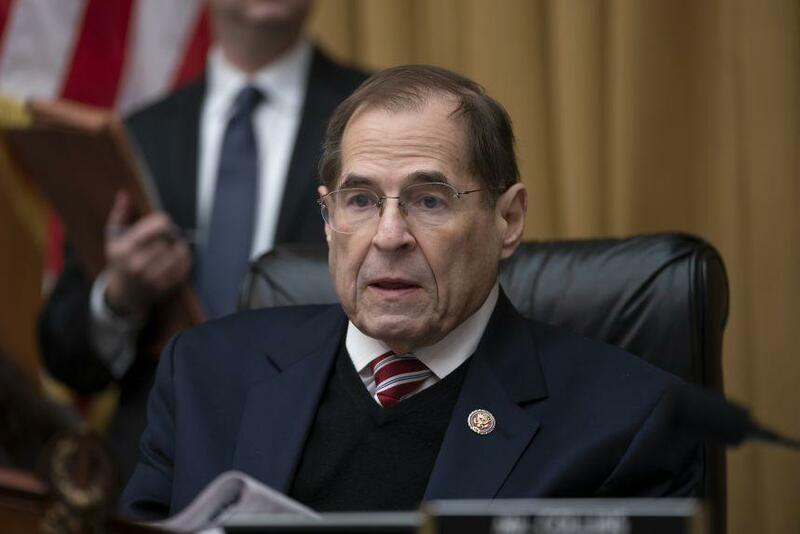 The House Judiciary Committee chaired by Rep. Jerry Nadler (D-NY) voted Wednesday to authorize a subpoena to compel the Department of Justice (DOJ) to hand the Mueller report over to Congress. Passing by a margin of 24-17, the resolution authorizes subpoenas for special counsel Robert Mueller’s full report, as well as its underlying evidence. Attorney General William Barr did not comply with an April 2 deadline set by Nadler, who has criticized the four-page summary of conclusions on what is believed to be a nearly 400-page report. Barr and Mueller are currently working to redact sensitive information ahead of the report’s full public release, which Barr should be ready by mid-April or sooner, according to comments made by Barr to lawmakers last week. A redacted report in two weeks isn’t enough for House Democrats, who have demanded the immediate release of Mueller’s report – with no redactions. According to Bloomberg, the House panel’s subpoenas might spark a legal battle that could reach the US Supreme Court. Republicans, meanwhile, have accused Democrats of keeping the Russia investigation open for political purposes despite the fact that the Mueller report concludes that there was no collusion between Trump and Russia. Robert Mueller was a God-like figure to the Democrats, until he ruled No Collusion in the long awaited $ 30,000,000 Mueller Report. Now the Dems don’t even acknowledge his name, have become totally unhinged, and would like to go through the whole process again. It won’t happen! But while Mueller cleared Trump of collusion, he left the question of whether the president obstructed the investigation up to AG Barr and Deputy AG Rod Rosenstein, who oversaw the majority of the Russia probe. But Republican John Ratcliff of Texas, a former U.S. attorney, asked, “Where in the special counsel regulation does it say the attorney general must turn over an unredacted, full special counsel report? The special counsel regulation doesn’t say that. No law says that.” –Bloomberg.